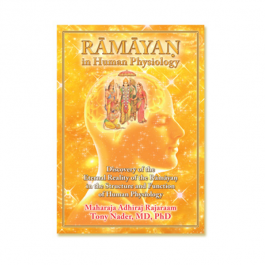 Maharaja Adhiraj Raja Raam Professor Tony Nader M.D., Ph.D.
A Textbook of Life for Everyone Modern Science and Ancient Vedic. Science Discover the Fabrics of Immortality in the Human Physiology. "Here is the first and final disclosure of knowledge that presents every human being as the embodiment of the total creative process in Nature and renders human life as a field of all possibilities. This offers mastery over Natural Law to everyone and perfection to every nation - Heaven on Earth." Maharishi. 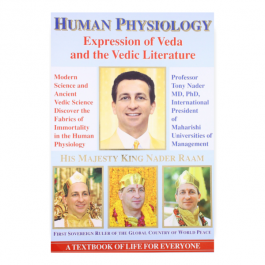 Magnificent in scope, this ground-breaking work details the relationship between the 40 branches of the Vedic Literature and their corresponding parts in the human physiology. Our physiology is continuously performing millions of tasks to maintain order and balance in its functioning, to allow growth and evolution to occur, and to bring about increasing achievement and fulfilment. In the 400-year history of modern science, no event has matched the recent discovery by Raja Raam, the first ruler of the Global Country of World Peace, in either scope or significance. Working under Maharishi’s guidance, Raja Raam has found that the forty branches of Veda and the Vedic Literature, which present the mechanics of the creation and evolution of Natural Law, are the fundamental basis and essential ingredient of the human physiology, and that there is a one-to-one correspondence between the structures and functions of the different branches of Vedic Literature and the structures and functions of the human physiology. To understand this discovery, we must first look at the nature and origin of the Vedic Literature. Modern science has located the home of all of the Laws of Nature as a Unified Field, which gives rise to and administers the entire universe through its own self-interacting dynamics. It describes this field as the unified source of the four fundamental forces of Nature, from which all force fields throughout the universe are derived. This discovery is described mathematically by the Lagrangian of Superstring Theory, which presents the detailed structure of the Unified Field. Maharishi’s Vedic Science identifies the Unified Field as an unbounded field of consciousness—an eternal, silent ocean of intelligence that underlies all forms and phenomena. This field of pure consciousness is the unified element in Nature on the ground of which the infinite variety of creation is continuously emerging, growing, and dissolving. Maharishi has provided a profound account of how this purely abstract field expresses itself into material creation. In his description, he explains how fully awake, self-referral consciousness moves within itself, and in this self-interaction it unfolds its own, infinitely dynamic structure. This dynamic structure is the totality of all the Laws of Nature that create and administer creation; this same structure is found in the forty branches of Veda and the Vedic Literature. This historical discovery is that the human physiology, including the DNA at its core, has the same structure and function as the holistic, self-sufficient, self-referral reality expressed in the forty branches of Veda and the Vedic Literature. He explains that each of the forty branches of Veda and the Vedic Literature can be located in both structure and function in the human physiology. For example, Maharishi describes Vyakaran as the branch of the Vedic Literature that embodies the expanding quality of self-referral consciousness. The tendency of Veda to sequentially elaborate itself—to unfold from its first syllable to the forty branches of the Vedic Literature—is expressed by Vyakaran. Raja Raam locates the similarity between this expansive tendency and the function of the hypothalamus. The hypothalamus releases factors that activate the pituitary gland, neurohypophysis, and the autonomic nervous system. These releasing factors represent the expansion necessary for the evolution of the endocrine and autonomic response, which leads to biochemical and physiological responses that bring the system to a new state of balance. Structurally the Ashtadhyayi, the principle text of Vyakaran, is comprised of 8 Adhyayas (or chapters) of 4 Padas (a metrical unit) each, totaling 32 Padas. Similarly, the hypothalamus is comprised of 8 regions—anterior, posterior, middle, and lateral, right and left—with 4 nuclei each, making 32 nuclei, corresponding to the 32 Padas of the Ashtadhyayi. Raja Raam noted a correspondence between each Pada of the Ashtadhyayi and specific anatomical functions. 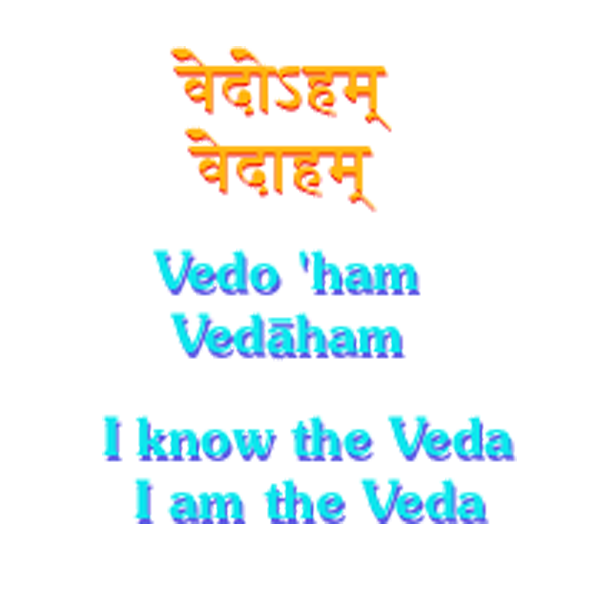 A second example of the relationship between Veda and the human physiology is Nyaya, the branch of the Vedic Literature that Maharishi describes as the embodiment of the distinguishing and deciding quality of consciousness, which simultaneously comprehends opposite qualities of consciousness. Nyaya corresponds functionally to the thalamus, which relays sensory inputs to the primary sensory areas of the cerebral cortex, conveying information about motor behaviour to the motor areas of the cortex. Structurally, there are 10 Ahnika (chapters) of the Nyaya Sutras, and 10 areas of the thalamus: rostral, medial, lateral, caudal, and intralaminar, each found on both sides of the brain. Furthermore, while the Nyaya Sutras describe 16 topics of reasoning (Pramana, Prameya, etc. ), the thalamus functions through 16 groups of cells called nuclei. The first of the 16 areas of Nyaya (Pramana) corresponds to the first nuclear group of the thalamus called the pulvinar. Pramana has 4 subdivisions—Pratyaksha (direct perception), Anumana (inference), Upamana (comparison), and Shabda (verbal testimony)—which correspond respectively to the 4 subdivisions of the pulvinar. The first subdivision connects the superior colliculus with areas of the cortex and is responsible for higher order visual integration—i.e. perception (Pratyaksha). The second connects the superior colliculus and the temporal cortex with areas of the cortex and of the temporal cortex. These areas are involved in functions such as vision, hearing, memory, and language—together they are at the basis of processes of inference (Anumana). The third part of the pulvinar connects the parietal cortical areas back with other parietal cortical areas, and is responsible for polymodal sensory integration. This area gives a higher order perception about sensory inputs in relation of one with the other, serving the function of comparison (Upamana). The fourth connects the temporal cortex with the superior temporal gyrus and is responsible for memory, language, and speech. This is the basis of verbal testimony (Shabda). The fifteen following categories of Nyaya are similarly linked to different aspects of the thalamus, in structure and function. The correspondence between the Vedic Sounds and the human physiology has great potential for restoring physiological balance. Reading the sounds of the Vedic Literature in their proper sequence—even phonetically, without any sense of meaning—creates resonance with the same anatomic structures to which the sounds correspond, enlivening a specific sequence of neuronal, and physiological activity. By re-establishing the proper sequence of the unfoldment of Natural Law in the physiology, any imperfections— stress, blocks, or any structural or functional abnormalities—can be eliminated. The result is that the physiology functions increasingly in accord with its original and perfect design. Maharishi points out that reading the Vedic Literature in sequential order has the effect of regulating and balancing the functioning of the brain physiology. During reading, the functioning of individual fibres of the brain come into coherence with the holistic value of brain functioning, and as a result the mind begins to function according to Natural Law in every expression. When the mind flows in an evolutionary direction, all thought, speech, and action also flow in an evolutionary direction, in the direction of the unfoldment of higher states of consciousness. Students in a doctoral track at Maharishi University of Management, Fairfield, Iowa, USA, read the Vedic Literature for several hours a day and document their growing enlightenment. These students have each recorded hundreds of experiences of growing higher states of consciousness. You know the Veda by being Veda. You cognize Veda by being Veda. Cognition of the Veda is on its own level, and that is that level in which we get into the details of wakefulness. Veda is the detailed structure of pure wakefulness, and there the intellect does not go. Maharishi’s ideal of Vedic Study provides an important addition to the field of education, for it promises to develop Total Knowledge in the awareness of every student through exploring the Veda and Vedic Literature on its own level, and enlivening the fundamental impulses of Natural Law in the students’ awareness. 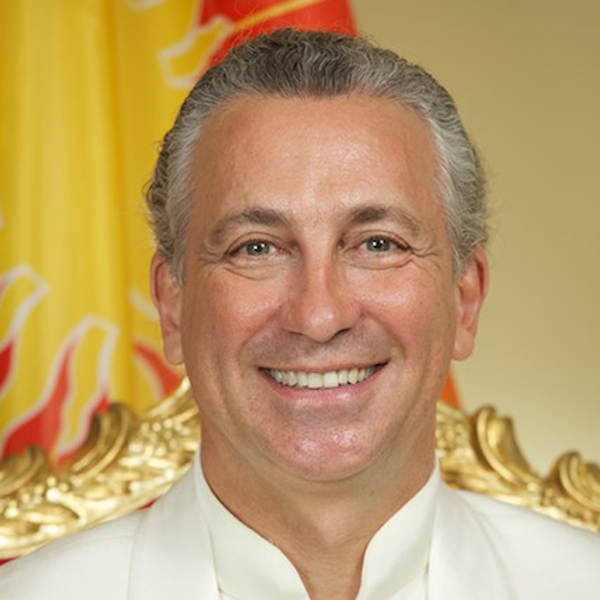 Reading the Vedic Literature in conjunction with the practice of the Transcendental Meditation Technique provides the basis of Vedic Education, for it enlivens the total potential of Nature’s functioning in the awareness of every student. Maharishi describes this as a supreme achievement of education, which can create a perfect individual and a perfect educational system. This historic discovery provides clear and scientific proof that every man is Cosmic, every individual is the blueprint of the total potential of Nature’s organizing power. It is therefore the responsibility of every government to provide the opportunity for its citizens to unfold the total potential of their lives, to unfold their own Cosmic Potential. This book is phenomenal. The Veda ('knowledge' in Sanskrit) and Vedic literature is convincingly demonstrated to be the structure of the human physiology, thus making this book relevant to every human being. Very interesting is the correlation with the Unified Field of modern physics (thank you Einstein) mathematically: one becomes three, which becomes eight, becomes 24, then 96, then 192. This is why there are 192 ascending and descending tracts of our central nervous system, for example. This correlation of form and function continues for all 40 aspects of the Vedic literature. It's a new paradigm for medical science. Also impressive is the correlation with Vedic 'gods' which are shown to actually be the different types of intelligence within our physiology. For instance, Ganesh, the 'elephant god' and remover of obstacles, comprises the pons, medulla and cerebellum. In their function, they exactly represent the same functions ascribed to Ganesh. Together these structures also look exactly like Ganesh. (seen in figures 134-139. New effective treatments have already been derived and clinically tested from this knowledge, including primordial sound therapy, light therapy, Vedic vibration therapies, etc. The human physiology (including DNA at its core) has the same structure and function as the holistic, self-sufficient reality expressed in Rk Veda. This renders the study of physiology as the supreme philosophy of life, establishing individual consciousness and national consciousness on the level of Cosmic Life. In honor of his discovery, Dr Nader was awarded his weight in gold at Maharishi Vedic University in Vlodrop, Holland, February 1998. I highly recommend this book, especially if you are considering a career in medicine or physiological studies. This work of knowledge supports those who are developing higher states of consciousness using a combination of three techniques: Transcendental Meditation, the TM-Sidhi program, and the Reading Vedic Literature program. These techniques have been passed down through an ancient lineage of knowledge called the Vedic tradition and were most recently brought out through Maharishi Mahesh Yogi. Dr. Tony Nader's research correlates each Vedic text with an aspect of the human physiology and further shows how the same intelligence that structures creation structures the human physiology. His expertise in the fields of modern science and Vedic tradition of knowledge is the basis for this textbook which reveals the mechanics of nature's own functioning in intricate detail and depth. This textbook also shows how one can enliven the perfect organizing power of nature within one's own consciousness using Vedic technologies of consciousness (see above). This knowledge is a vital resource for those who are directly experiencing the finest levels of nature's intelligence within their own consciousness because the knowledge in this textbook supports understanding of these very subtle experiences. By Professor Tony Nader, MD, PhD, under the guidance of His Holiness Maharishi Mahesh Yogi. "Here is the first and final disclosure of knowledge that presents every human being as the embodiment of the total creative process in Nature and renders human life as a field of all possibilities. This offers mastery over Natural Law to everyone and perfection to every nation--Heaven on Earth." Maharishi. Hardcover, full-color, 638 pages, 2014.